With the VARiOX, PFLITSCH brings an installation solution for standard applications in machine-making, plant engineering and in electrical applications. With fewer system parts and trunking layouts to suit your individual requirements can be quickly and easily configured. 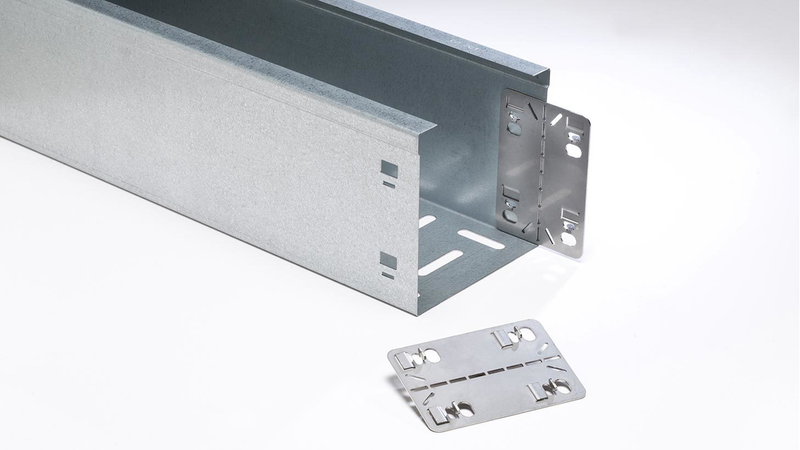 Optimized wall thicknesses ensure that the cable trunking is light but keeps its shape. Thanks to the VARiOX quick connector, no special tools are necessary: The pre-punched channel bodies and fittings are simply mounted to the desired route using the multifunctional VARiOX quick connectors.